Cage rotor with 360º swinging hammer flails. 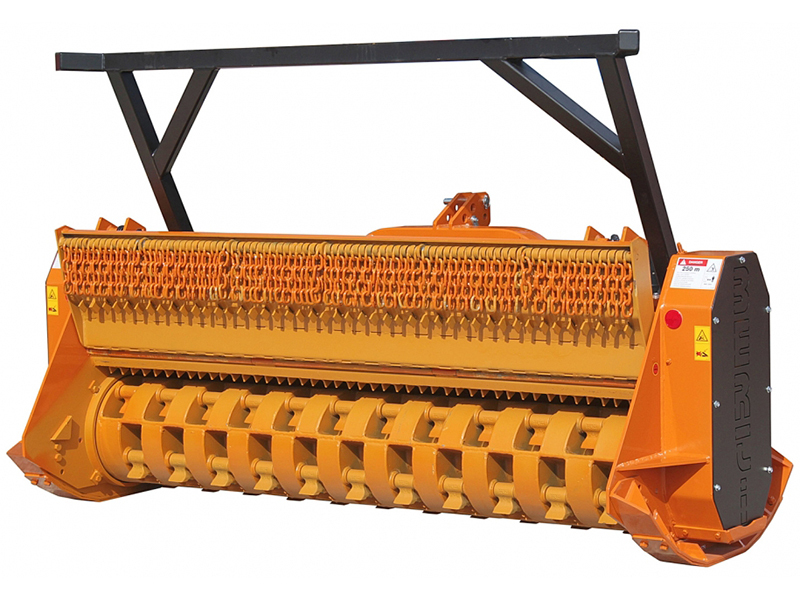 Suitable for heavy reclamation and clearing fire breaks, under power lines and beside railways. 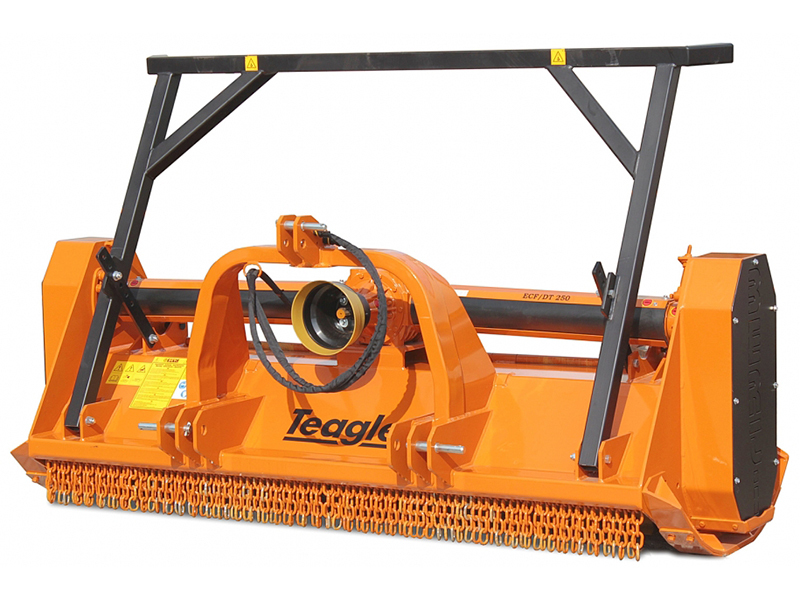 All Teagle Forestry Mulchers are shot blasted and have a high quality paint finish. Mulchers are compact and reliable, are designed for high work rates and will reduce material to a fine mulch. Teagle Forestry Mulchers have a range of features to ensure ease of operation and straightforward maintenance for a long and trouble-free service life. A centrifugal clutch is available on all ECF models to minimise tractor PTO clutch wear. This option is mandatory when mounting the ECF on the front of a tractor. A single edge hammer is available as an option on the ECF range.